Pooven Moodley is a Human Rights Lawyer and social justice activist from South Africa. Before joining Natural Justice he was the Associate Country Director of Oxfam GB in South Africa and the Global Head of Campaigning for ActionAid International. He most recently led with other activists, the successful Campaign for A Just Energy Future to stop South Africa’s proposed massive nuclear deal with the Russians, against all odds. He has contributed to a range of struggles across the globe starting with the anti-apartheid struggle in South Africa when he was 14. He started his career at the Legal Resources Centre, involved in precedent setting pro bono human rights litigation based on the high levels of brutality and repression in South Africa. 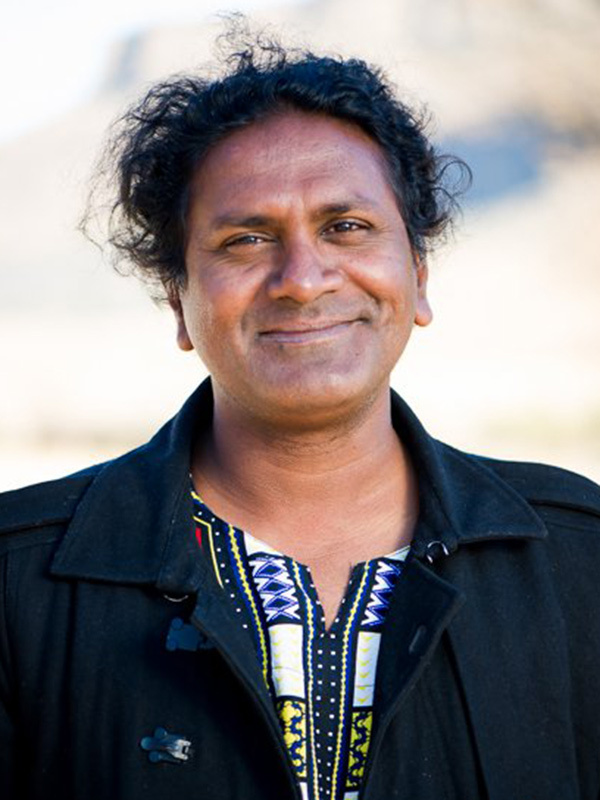 He has worked extensively in over 20 countries and has campaigned from local to global levels with a range of communities and activists including on issues such as women’s right to land in Africa, challenging large mining companies that are destroying indigenous communities and the environment, people’s right health and education, repression by governments and climate change. He has worked for and with a range of International organisations and movements. He continues to provide solidarity and support to activists across the globe.